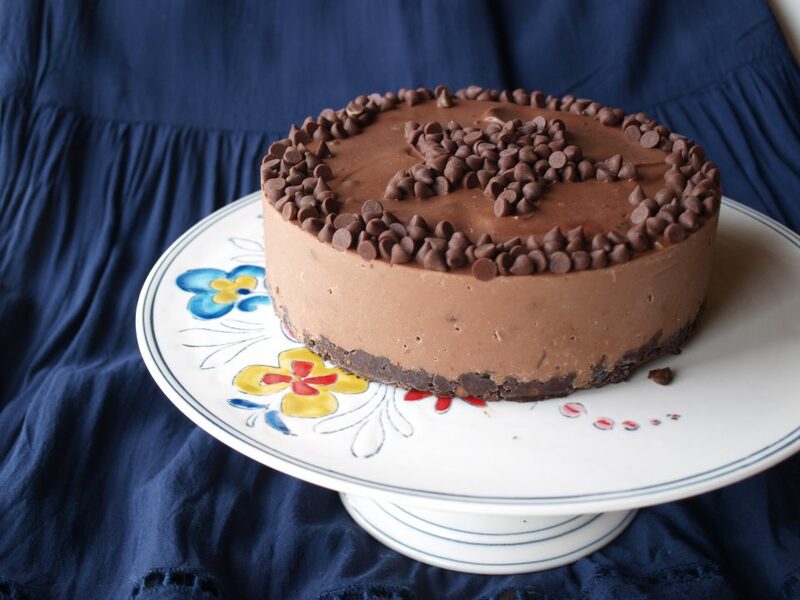 No-Bake Dairy Free Shockingly Healthy Chocolate Cheesecake – Live TV Debut! Cheesecake is one of those desserts that people REALLY, REALLY love. Can you blame them? The delicious, tender crust, the sweet, creamy tang of the cheese filling, and the endless possibilities for toppings. Just give me a slice already! But did you know that way back in history, cheesecake was actually considered a great source of energy?! There’s even evidence that it was served to athletes before they performed in the first ever Olympic Games, back in 776 BC. A workout-fuelling cheesecake is a cheesecake I can get behind, so I decided to create my own healthy, no-bake, dairy-free cheesecake fit for an Olympian! 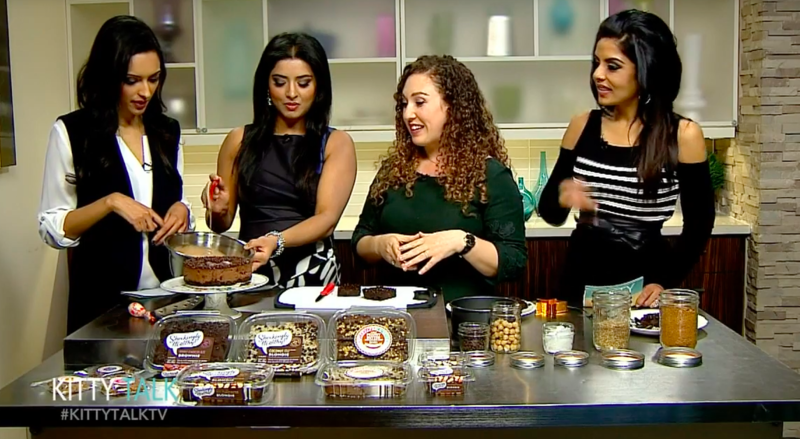 Teaching Sunny, Huma and Surbhi that cheesecake can be superfood fuelled! The taping was great fun, and we can’t wait to go back to Kitty Talk to make some more Shockingly Healthy Dishes. But hey, I know why you came here. You want to know how to make the stunning, delicious cheesecake we made on the show! Just look at this beauty! Now, this recipe makes a gorgeous cake that will impress all your friends and family – and they won’t even know that it’s dairy-free and good for them, too! 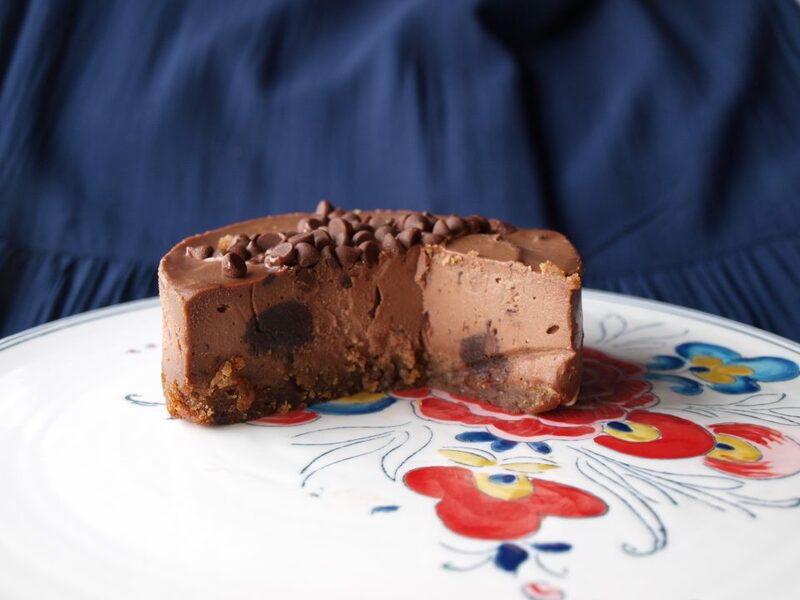 You can keep it plain, or kick things up a notch by adding some raw cacao for an irresistible chocolate cheesecake. Oh, just a cheesecake being a showstopper, that’s all! Ah, but how does one make a cheesecake without any cheese, you ask? Well, you probably already know that we at Shockingly Healthy LOVE our chickpeas,(they’re the main ingredient in our brownies and bars) so they’re in the mix, but we also use cashews to form a creamy, cheese-like filling that’s an amazing source of healthy fats, magnesium, and copper. Ever wanted an inside look at perfection? This may yield enough for an extra 4 inch spring form depending on how deep you want to make it. You can also make this recipe using a muffin tin for adorable individual servings! 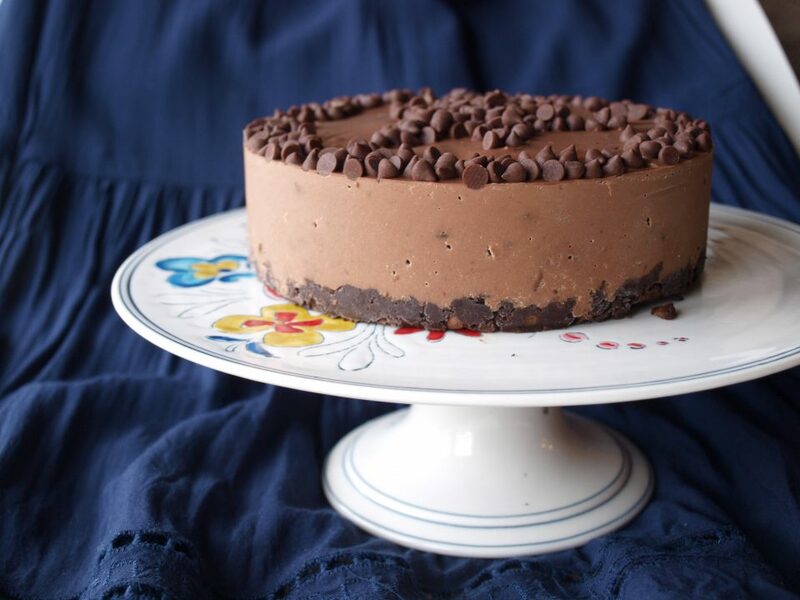 To make things extra-fancy, take a cookie-cutter of your choice, and fill with dairy-free chocolate chips or sprinkles to create a gorgeous edible pattern on top of your cake. I chose a star, because this cake is worthy of stardom! 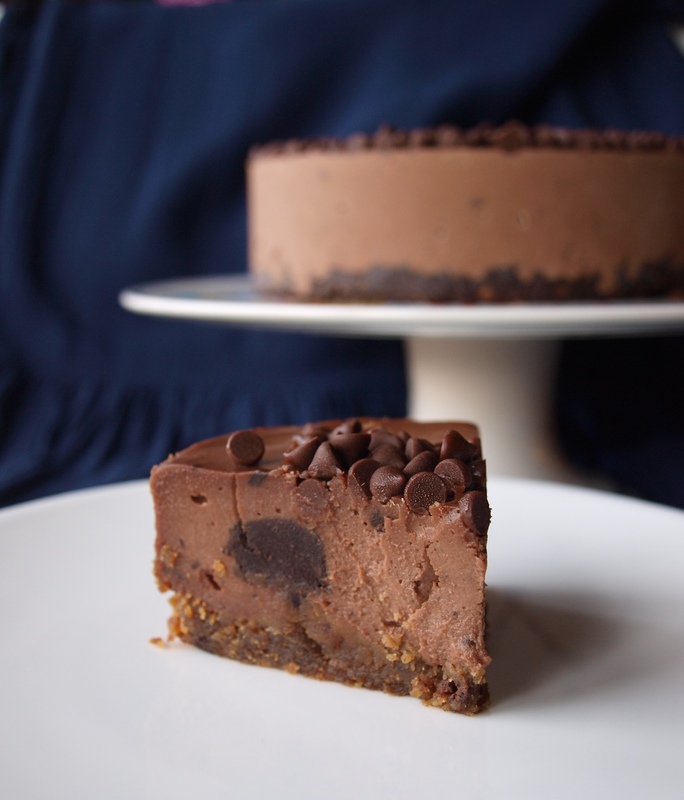 We’d love to see your how your Shockingly Healthy Dairy-Free No Bake Cheesecakes come out! 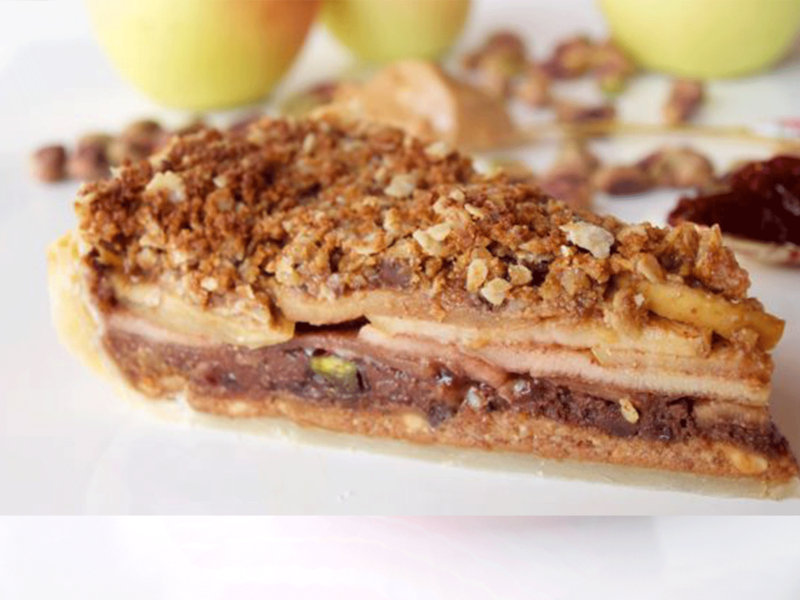 Snap a photo and tag us with #shockinglycheesecake on Instagram @shockinglyhealthy. Happy no-baking!